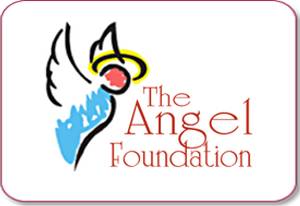 The following are a few of the wishes that The Angel Foundation has recently granted thanks to the generosity of its donors. Your financial support is what makes these wishes possible and is greatly appreciated! After being diagnosed with lung cancer, 48-year-old Christine McCrum of Akron wanted to take a trip to Ocean City, Maryland where she and her daughter had always planned to go together. Christine’s daughter, Katie, wrote The Angel Foundation about how her mother’s fight with cancer had consumed their lives. She knew this trip was her mom’s chance to smile and experience joy again. 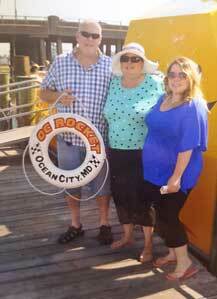 The Angel Foundation made arrangements for Christine and her husband and daughter in Ocean City. They explored the boardwalk, rode the ferris wheel, took a boat ride, and sat on the hotel balcony enjoying the ocean and watching the dolphins. 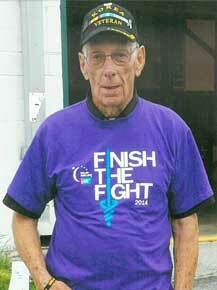 "Honor Flight for Korean Vet"
Donald Andrews, from Montpelier served in the US Army during the Korean War. Fighting a long battle with colon cancer, he shared with his hospice social worker that he had the opportunity to go on an upcoming Honor Flight, but did not have the funds for a guardian to accompany him on the trip. Teddy Fleming wanted to visit his 90-year-old father who was living in a nursing home in Virginia. The Angel Foundation provided gas and food money for Teddy and his wife to travel there. 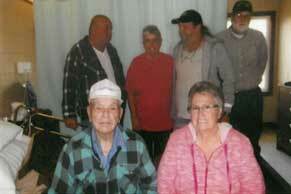 They stayed with a sister and visited with family for a couple of days at the nursing home where his dad is staying. Teddy was appreciative that The Angel Foundation was able to grant his wish to visit family. “We had a wonderful and eventful trip,” they wrote.